Hey all! 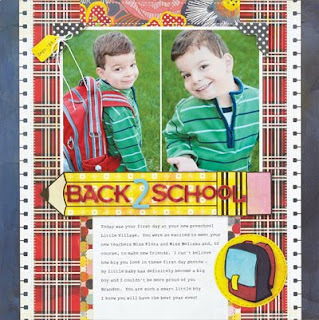 I just noticed that on the Creating Keepsakes blog today they are featuring a layout that I created for the September 2010 issue of Creating Keepsakes all about school themed accents. For my particular layout I paper pieced not only the backpack embellishment but the pencil to hold my title as well. as seen in the September 2010 issue of Creating Keepsakes magazine. copyright creative crafts group. posted with prior permission from the publisher. It's really fun to paper piece your own accents and much easier than you might expect. Be sure to stop by the Creating Keepsakes blog and check out the September issue to read all about and see lots of other fabulous back to school projects and ideas! I loved this layout Lynn! You really work all the PPs well and the paper piercing are so perfect for this theme! Oh how I adore this! Love your title on the pencil! Just fabulous! Those BG papers are some of my all-time favorites!